In the early 1850s, Mesopotamia stood in the middle of the overland route to India and, surprisingly, no reliable map of this territory existed until Jones published an account in 1855. Austen Henry Layard’s discovery of Nineveh in the mid-1840s and Francis R. Chesney’s exploration of the Tigris and the Euphrates a decade before had helped placing the area from a European standpoint, but, all in all, many in France or Britain failed to grasp the geography of the Ottoman province. Some of Jones’s original maps were even lost in India and his pioneering work partly forgotten: a testimony to the disorderly nature of Western knowledge in the area. Half a century later, Francis Maunsell, military attaché in Istanbul, surveyed the area again and compiled one of the first comprehensive series of maps of “Eastern Turkey in Asia” (fig.2). His careful mapping of human geography and economic resources of the area bears testimony to the fast improving British perspective concerning an area that would soon be known as the “Middle East”. (Maunsell’s work was so accurate that the Ottoman army copied and translated most of his maps.) What had been on the periphery of British global expansion suddenly became critical to the balance of the British Empire. Surging interest in oil prospection increased German and French competition, better knowledge of potential local clients all combined to foster a demand for improved intelligence, better cognitive tools of government, and more accurate maps. These changing “information orders,” to quote C. Bayly, had deep running consequences on how Britain and other powers imagined what they had blankly called the “East” in the 19th century. The tightening grasp of European knowledge, often more professed than real, spurred redefinitions and new classifications. Imagined spaces and prospective maps profoundly challenged traditional views on places in the “Orient”. The “Middle East” replaced the “Eastern Question.” British agents from India and irrigation experts waved maps showing agricultural fertility in Mesopotamia and promising oil fields in Persia. Technocratic views partly replaced Biblical ones. The “East” was stagnant no more. Statistics, surveys, maps, reflecting the changing geopolitical conditions of this transitional area, translated the region into something new. They changed it into a place with a future rather than one stuck in the unchanging presence of the past, a stereotype traditionally substantiated by 19th-century accounts of Eastern travel. These new perspectives also participated in unleashing forces that transformed the way local people made sense of their own position. The Qajar dynasty in Iran developed its own mapping expertise to block British and Russian encroachments on its eastern and northern borders. Locals swiftly understood the potential consequences of mapping and mapmaking, be it in terms of taxes or military control. They resisted it, and sometimes used it to their own advantage. By 1919, Chaldean Christians were using maps to foster their claims and ask for the creation of a state around Mosul. 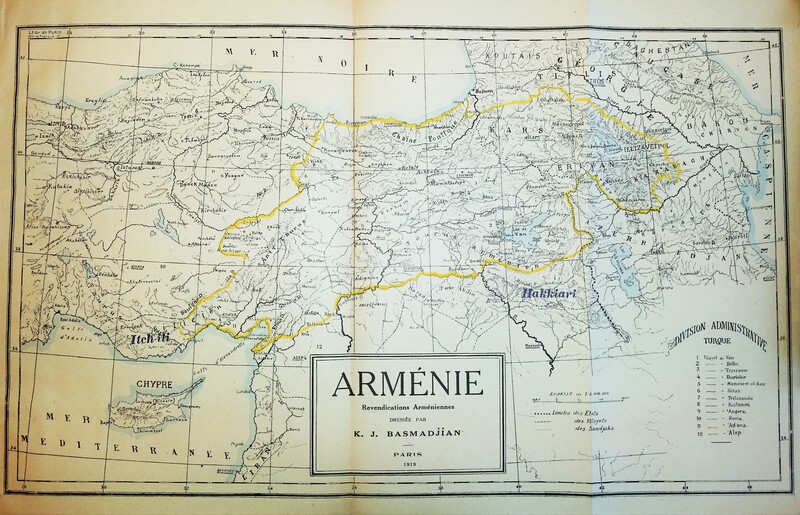 A variety of Armenias were designed at the same time (fig.3). These are some of the issues tackled in my book Dislocating the Orient. It is an exploration of the Middle East through maps, and it shows the crucial role played by the new cognitive tools that formed the decisions and ideas that transformed the region in the late 19th and early 20th centuries. It’s also a cautionary tale concerning the power of knowledge. Just as mapmaking improved, ignorance and inaccurate maps played central roles in this story. They, more than once, hid the frailty of grand designs that were impossible to realize at the local level. When Churchill created the Middle East Department within the Colonial Office in 1921, alleged expertise and delusions of control had already left their mark. Even as the area shrugged off British control into a seeming insurmountable chaos, graphic representations stabilized the Middle East in the minds of statesmen and planners. 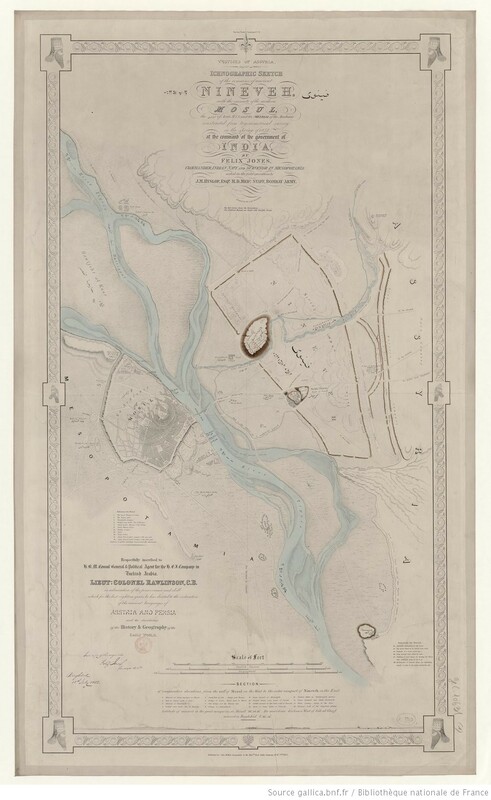 James Felix Jones, Notes on the Topography of Nineveh and the Other Cities of Assyria : And on the General Geography of the Country between the Tigris and the Upper Zab (London: Harrison, 1855). 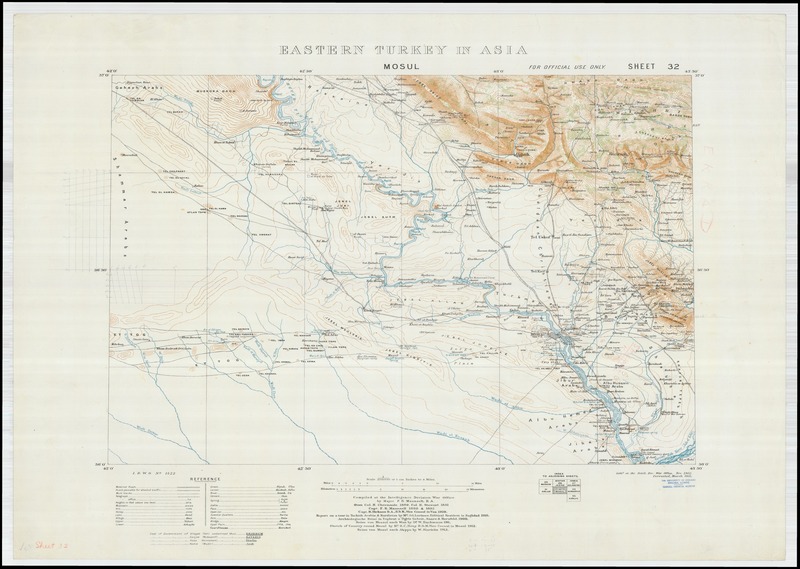 Turkish General Staff, Series of Maps of Mesopotamia, 1:250,000, 44.5 × 53.3 cm, 1910s (RGS Map Room ([mr Iraq Div.9]) (1)). Henry C. King and Charles R. Crane, Report of American Section of Inter-Allied Commission on Mandates in Turkey: An Official United States Government Report (New York: s.n., 1922), vii. J.L. Gelvin, Divided Loyalties: Nationalism and Mass Politics in Syria at the Close of Empire (University of California Press, 1999), 270.